Knowledge of wound bioburden can help guide selection of optimal therapies, for example, negative pressure wound therapy devices (NPWT) with instillation of wound cleansers in a heavily contaminated wound. Fluorescence imaging can visualize red-fluorescing, pathogenic bacteria in real-time using a non-contact, hand held device.1 We used this imaging device to detect bioburden in inpatients undergoing NPWT. 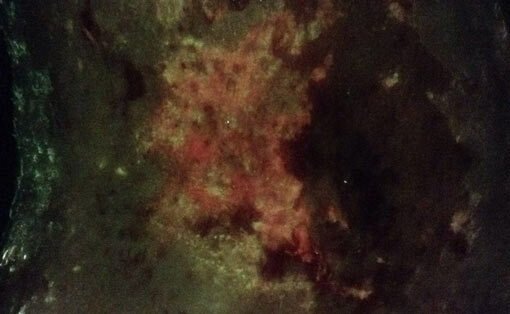 Three wounds with diverse etiologies were imaged with the device at various stages of healing. 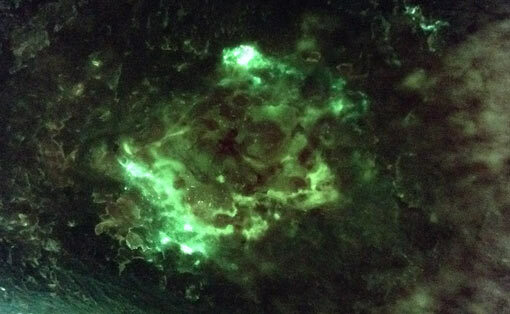 Wounds positive for red fluorescence signal were considered to be contaminated with bacteria. Bacterial fluorescence was detected under sealed, optically-transparent (routine) adhesive prior to dressing changes, on foam dressings, within the wound bed, and on peri-wound tissues. Bacterial visualization in real-time helped to guide: (1) bioburden-based, personalized treatment regimens, (2) clinician selection of NPWT with or without instillation of wound cleansers, and (3) the extent and location of wound cleaning during dressing changes. The ability to visualize bacteria prior to removal of dressings led to expedited dressing changes when heavy bioburden was detected and postponement of dressing changes for 24 hours when red fluorescence was not observed, avoiding unnecessary disturbance of the wound bed. 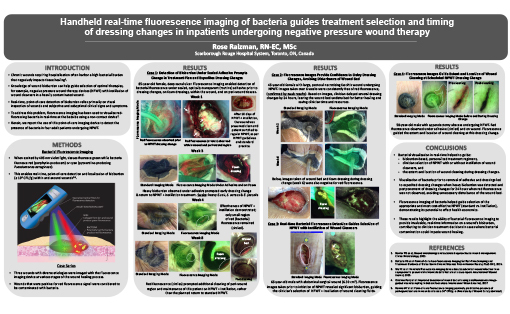 Fluorescence imaging of bacteria helped guide timing of dressing changes, the extent of wound cleaning, and selection of the appropriate and most cost-effective NPWT (standard vs. instillation). 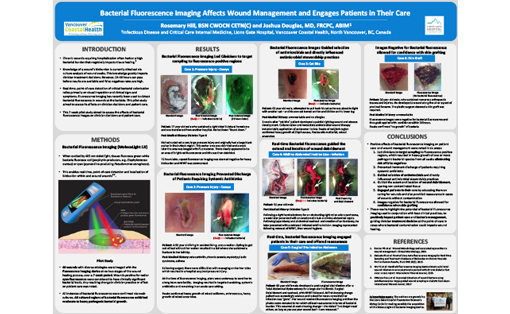 These results highlight the ability of bacterial fluorescence imaging to provide invaluable real-time information on a wound’s bioburden, contributing to clinician treatment decisions in cases where bacterial contamination could impede wound healing.